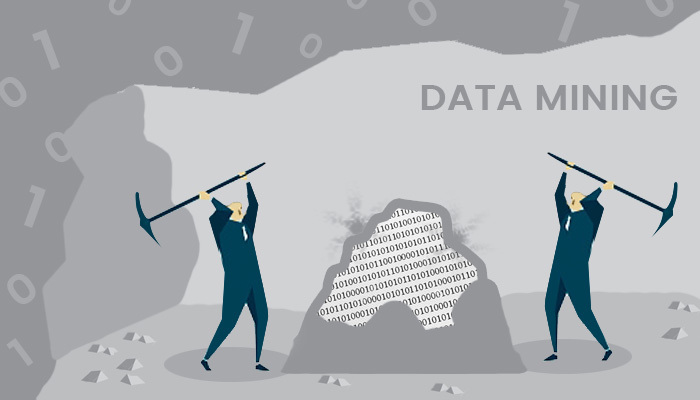 Data mining is a technological process that let businesses to sift through piles of fragmented data to convert it into high-value data to help them make well-informed choices and critical decisions. In specific terms, Data mining will go a long way in setting up a high-quality database that will help you to predict the consumer behavior and market conditions. Data mining will make it easy for marketers to classify and group data of various dimensions and summarize the identified relationships. Data mining includes various steps like extraction, transformation, and loading of data onto the data warehouse system and presenting the data in a useful format that can be utilized and shared across various departments of the organization. High-quality data is money and businesses can use data mining for knowledge discovery and exploration of available data. It is useful to predict future trends and shopping patterns and to enhance business intelligence, thereby improving the company’s revenue. Availing the services of an experienced data entry service provider can make data mining tasks easier and hassle-free. Data Mining Techniques have been evolving constantly to offer businesses. A comprehensive insight into their own data with useful future trends. Weeding out incomplete data is crucial to ensure the best results because data mining relies on the original data that is present. Any deficient data elements can compromise the quality of the output. Techniques such as Self-Organizing-Maps (SOM’s), help to map the missing data elements by creating the model of multi-dimensional complex data. An existing and valid data set along with its procedures can be compared with another compatible but incomplete data set to find the missing elements. There are different algorithms that can be used to address incomplete attributes of data. This data scoreboard is fed real-time with data as it flows in and out of various databases within the company’s environment. Various data mining techniques are applied to monitor the database and evaluate its potency and reliability. Algorithms are built to find the hidden patterns of the organized data in databases or algorithms. It can also be inbuilt into the data flows and the findings can be compiled in reports for a detailed analysis. Ideally, data mining algorithms should pull out data from multiple, heterogeneous databases and predict changing trends. Text-processing algorithms are employed to automatically find patterns within the text embedded in hordes of text files. It can, for instance, find out repeated extracts of data, which can be used to check plagiarism in publishing houses or educational institutions. An interactive and query-based data mining methodology like OLAP (Online Analytical Processing) will be useful to oversee various data mining functions such as classification, clustering, association, and prediction. Some of the other concepts that facilitate interactive data mining include graph analysis, image classification and meta-rule guided mining among others. Make sure to consider the business relevance and the scalability of data mining algorithms to reduce costs in the future. Multiple algorithms can be run at the same time to optimize cost and time. There are many data mining tools in the market today including open source tools that do not require coding and are free to use. Some have add-on functionalities to cater to business-specific analysis and intelligence. Some popular data mining tools are listed below. Orange is an open source tool that is written in Python. Which is well known for its simple and powerful features. It has various useful features like data analytics, text analysis, and machine-learning features embedded in a visual programming interface. NTLK, also based in Python, is a powerful data mining tools, which consists of data mining, machine learning, and data scraping features that can be designed for customized needs. Written in C and FORTRAN, this tool can be used by data miners to write scripts to make analytical software for data mining. It supports graphical analysis, both linear and nonlinear modeling, clustering and time-based data analysis. Formerly known as YALE, the rapid miner is a ready-made, open source software written in Java. It incorporates multifaceted data mining functions such as data preprocessing, visualization, and predictive analysis. It can be easily integrated with WEKA and R-tool. WEKA is a free customization tool that is based on JAVA. It includes visualization and predictive analysis, modeling techniques and classification. A powerful tool with GUI, Knime is primarily used for data extraction, transformation, and loading. Hugely popular among financial data analysts, it has various useful features like modular data pipelining and leveraging machine learning that can be used to create business intelligence reports. 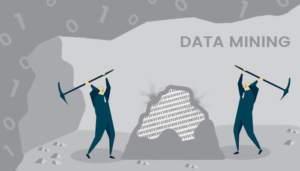 Data mining tools and techniques can be utilized by businesses of every genre to leverage their existing data stores and to earn a competitive edge. Are you looking for data mining experts to ensure the most effective database management? Look no further than Sasta Outsourcing with robust hands-on experience and a highly experienced team to cater to your specific needs. Call us right away.